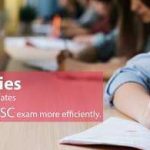 Dedicated to Sociology: We are the only Institute in India to provide dedicated correspondence course for Sociology (Civil Services Preparation). The intention of the course/program is to provide quality study materials to the students and let them go through it seriously. Once they have completed the prescribed study materials, questions related to the relevant units/topics should be written by them and uploaded to our online platform using their User ID & Password. Supply of study materials: Sociology study materials will be supplied in one or maximum two intervals, to the correspondence/postal address provided by our students. User ID & Password: Online platform (interface) to access study materials as well as Class Tests. Unit Test: Class Tests will appear in your Online platform, you just need to login and download the class test. Students should write answers of those questions and return it to us. Answers written should be uploaded (pdf only – mobile phone scanner can also be used) via online platform, it will directly reach to us. Or alternatively can be sent to us on our postal address. Answer Evaluation: Teacher will check the answers and return it to the student with proper remarks containing feedback and suggestions for improvement. Course Duration: It depends on your schedule. You can collect all study materials at one time or maximum in two phase. It would be better if you follow our study plan, or can schedule yourself. Confident: We guarantee quality sociology study material because it has been developed under guidance of Bibhash Sharma. Reason for Confidence: He has more than 15 years of teaching experience in this field. Teacher will be in direct contact with student(s) and so cannot escape the responsibility. Answer-Writing Practice: During the Correspondence course, we will practically teach our students Sociological answer-writing skills and techniques. This will make them more confident and competent.